CopperBull Demmex 1.2 mm Thick Handmade Copper Casserole. 3.4 Quarts Lined with Lead Free Tin for Safety & Ease of Cleaning. Made in Turkey. CopperBull Demmex 1.2 mm Thick Handmade Copper Casserole. Lined with Lead Free Tin for Safety & Ease of Cleaning. This entry was posted in Copper Pots and tagged 1.2MM, Casserole, Copper, DEMMEX, Hammered, Quart, Soup, Stew, Thick on August 13, 2017 by admin. 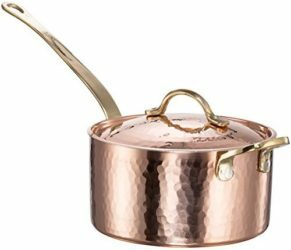 CopperBull Demmex Copper Saucepan with Lid. 1.2 mm Thick Copper. 100% Handmade in Turkey. Lined with Lead Free Tin for Safety & Ease of Cleaning. Brass Handle & Brass Helper Handle. CopperBull Demmex Copper Saucepan with Lid. Brass Handle & Brass Helper Handle. 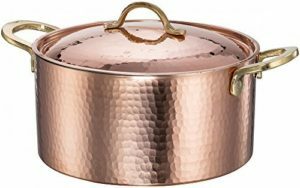 This entry was posted in Copper Pots and tagged 1.2MM, 1.7Quart, Copper, DEMMEX, Hammered, handle, Helper, Saucepan, Thick on August 13, 2017 by admin. 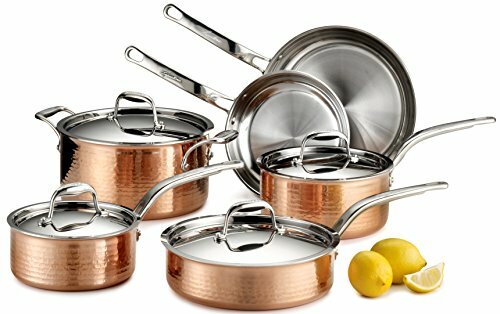 This entry was posted in Stainless Steel and tagged 10-Piece, Cookware, Copper, Hammered, Lagostina, Martellata, Oven, Q554SA64, Safe, Set, Stainless, Steel, Tri-ply on August 13, 2017 by admin.